As I said before, this week we join the mythical ball! 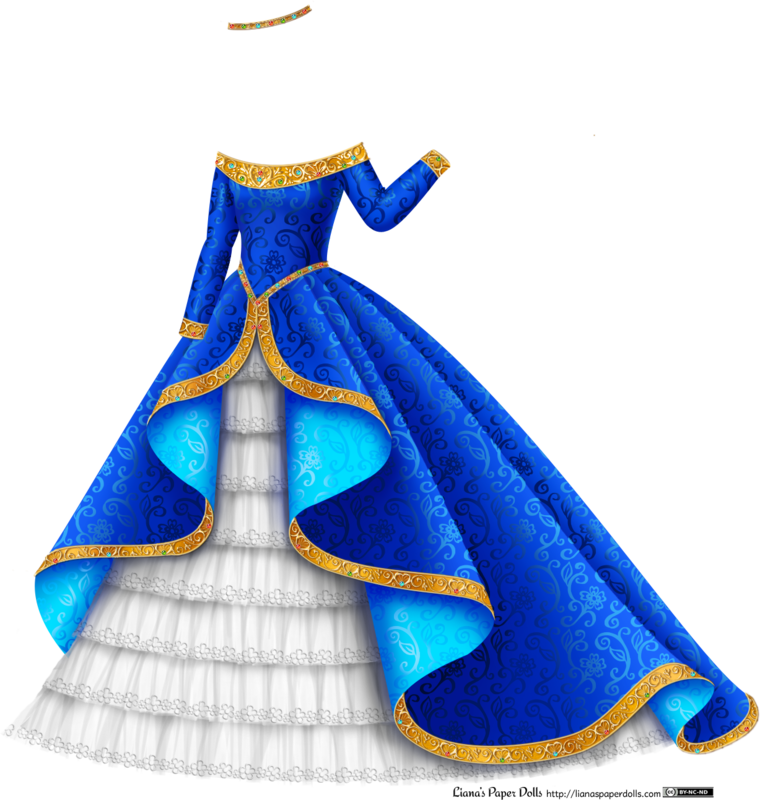 At this time of year, not only does my traffic increase dramatically, but my masquerade gowns get quite popular, so I thought I would like to add to my stock. 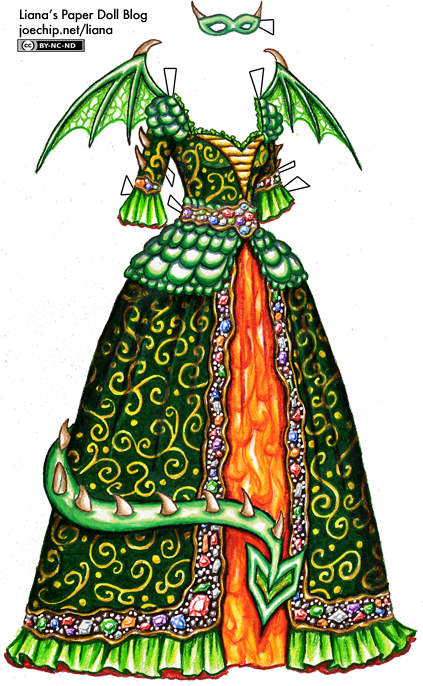 As far as the design goes, this dragon-themed masquerade gown was the low-hanging fruit of the five ball gowns I have planned, and I was able to sketch it out fairly easily and plan the colors without any problems… but in execution, oh, my aching hand! So that’s why it is a day late — it was just too good to rush. The others may suffer a similar fate, so do be patient with me. 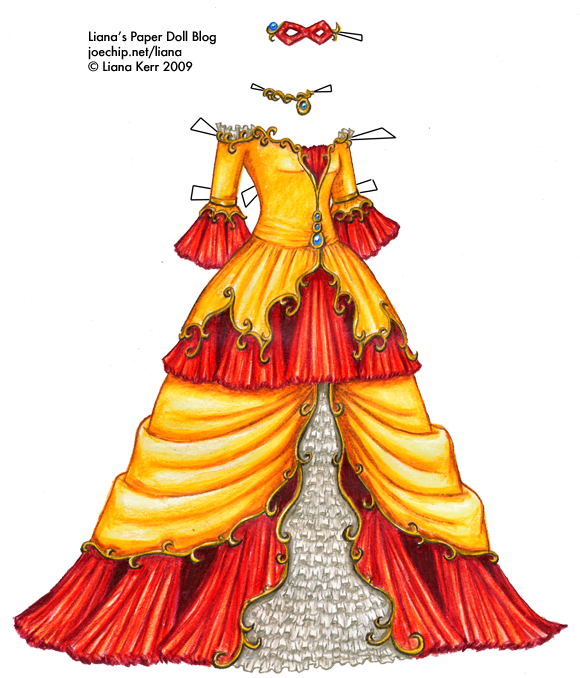 After three years of black and purple mourning clothes, Linnetta’s gown for the masquerade ball — a playful representation of a demon princess — was a blaze of glory. She felt as if its crimson lining was burning her skin, and her cheeks glowed with, if not perfect good health, a fair imitation of it considering all she had gone through. Even after so many near brushes with death and grief, no one was as beautiful as she was tonight: such thoughts consoled her on such a difficult evening. Linnetta bowed her head demurely as she made her entrance at her father’s side, ignoring the buzz of voices. It was distasteful to hear people placing bets on when she was going to die, but she had gotten used to it. Linnetta found herself trapped in polite conversations with Lady Someone-or-another, and then Duchess So-and-so, and (so it seemed, in the rush of masks and spangles) every woman at the ball; in her absence from society, Linetta had forgotten most of the titles she ever knew, but she’d lost none of her charm. She didn’t really want to talk about her sisters, but whenever a conversation partner made sympathetic noises about her unfortunate loss — five sisters, and so young! — she made grateful noises in return, so each nosy woman could leave feeling like they had comforted poor bereaved Linnetta without actually sharing in her tragedy. The cursed sisters all should have been there that night, and Linnetta felt their absence keenly, as if she saw them from the corner of her eye. The masked faces were all focused on her, trying to predict the manner by which the youngest and fairest daughter would meet her end, and wondering if it might even be tonight. Linetta ignored them, taking refuge in a cluster of acquaintances. She couldn’t even lose herself in the dance, for it’d be unseemly to be too carefree at her first appearance after her long illness, and the period of mourning. … Don’t worry, I’ve written the whole story out in advance this time. In terms of site news, no one has guessed the correct singer / group that I learned to draw gold from. (Hint: look at my about this page link for an idea of possible dates – this isn’t a trick I picked up recently). Also, I’m going to put up a poll tomorrow for week 3 of costumes: please post any suggestions in the comments.